I thought I would share this picture from the gardens. This is one of my new favorites. Azalea ‘Cannon’s Double’. 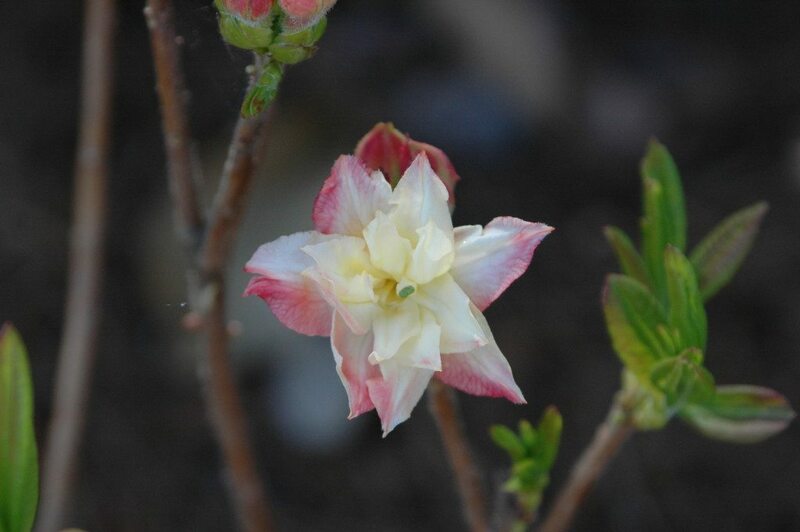 This is an Exbury hybrid azalea with cream, gold and pink double flowers. A native (deciduous) azalea, the new leaves start out with a bronze cast then turn green in summer. As with most azaleas this cultivar likes moist but well drained acidic soils and partial to full sun. The plant has an upright growth habit with mature size around 5’x 6′. A great size for the residential landscape.